Linking up to Lynne from Lily's Quilts Fresh Sewing Day keeps me on track and I love seeing the amazing projects of others. For me quilting is a balancing act and I tend to juggle a lot - a lot - of ideas at a time. June's mosaic is mostly bee blocks with only one quilt finished. The charity blocks were ridiculously quick to make and the others super time-consuming which made for a good mix for the month. Summer just doesn't feel like the time to be disciplined and driven so I'm OK with the lightweight showing. July will probably be kind of sparse as well - we'll see - it's only just begun. Projects to work on: Polaroid blocks (2) for F+F=AMSB, Not your Granny's Bee, Wedding Quilt - Old Italian block, Swoon, a Quilt for MQG show, Alpaca Pillows, Oak Tree Improv quilt. 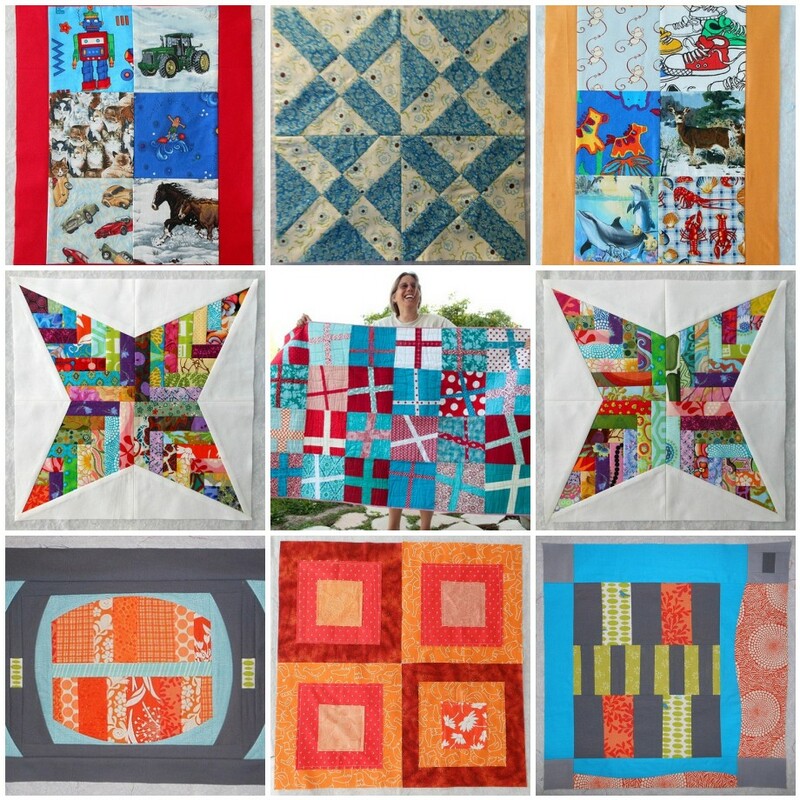 Shop Hop recap still to come..
Fun blocks & I really do love the quilt you finished! great idea! Your bee blocks are great! Your use of colour is just fantastic! Love all your finishes. Sounds like you need a pinterest account - it's a great way to keep track of all those tutorials/quilt inspiration ideas. Love your mosaic - so bright and summery and VERY inspiring!